The Community Resource Pack is a clearinghouse for common resource configurations as well as resource distribution configs for the stock resource system. It gives modders a toolkit of commonly used resources to play with, and helps us all work together in the same resource playground. Goal 1: Establish a common set of planetary resources. To make this happen, CRP will include a consolidated list of distinct resource configurations designed to be used with the stock resource system. Examples include Water, Substrate, Uraninite, and others. Goal 2: Avoid surprising our users by stomping over resources. When mods both define the same resource, bad things can happen for the player. So the CRP pincludes a bunch of resources that modders have agreed to consolidate on. Including ones from Karbonite and MKS/OKS (of course), Universal Storage, KSPI-E, RealFuels, Near Future Technologies, and others. Additional mods are supported where we've decided not to break their stuff, even though they are not (yet) active participants in CRP (kinda like santa claus handing out gifts). Examples include EL (for RocketParts), and TAC-LS (for life support stuff). If this goal is achieved, even for the few dozen resources we already have listed, I'm be thrilled, since being nice is a lot more beneficial than randomly stomping on things. So if you're sold, head on down to the bottom of this post for links and goodness. If you are not sold, read on. "I am sad! you're trying to control my stuff!" Not really. I just don't want to break your stuff, and I hope you don't want to break mine. All of this is totally optional, if you don't wish to participate, then peace out and rock on. "There's no way this will ever work, people can't agree!" I dunno, I have enough already agreeing that I am pretty darn happy. Given the current level of adoption and cooperation, I think we've landed in an excellent place. "But I don't want you mixing space cows in my ultra-realistic electrolysis sim!" Then don't use space cows. But maybe someone wants to have a nuclear-powered space cow RTG or something. In which case, you probably don't want them breaking your electrolysis sim. "But... you can't mix space cows and Plutonium-239!" Sure you can. Maybe you don't want to in your mod, or in the mods you select for your own save game, but people are going to do all kinds of crazy stuff. And I expect you'd prefer it if your Plutonium-239 to not suddenly triple in mass mid-flight because SuPaKerBaL9000 modified the AAA_SpaceCows mod you downloaded for your kid's save to triple the mass of Plutonium-239. "What about disparities in resource density and atmospheric pressure, or gas compression?!" Here's reality. Most of us just want to play a game. Hence, CRP has no opinion on units, compression, cost, densities, etc. - that's up to the mod creators. And if something is good enough to be adopted by a couple of mods, then it's good enough to join the club. In the end, this is curated. But the only considerations on the table are ensuring stuff plays well in our space lego game together, not in nitpicking physics or chemistry, and most certainly not in dictating how stuff should be measured. "But what if I want my own resources?!" Go for it. CRP does not dictate what resources your mod has or how you use them, just that you don't create ones that conflict with ones already there in CRP. "But this is more work for me! I am sad!" Actually less. 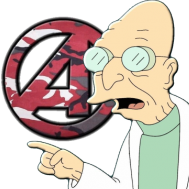 Just include a dependency like you would Firespitter or any other similar mod. Shop for resources. Done. But hey, if you'd rather have SuPaKerBal9000 wreck your mod, rock on. "I'm still sad! I won't use this!" "Ok I'm sold.. how do I use this thing in my mod?" Since CRP is based on the stock resource system, it's super lightweight! Include the CommunityResourcePack folder with your mod, and you're done. Use any of the links below to download this mod, or pick it up via CKAN. If you like what you see, and want to help out (or just buy me a beer! ), please consider donating, either via PayPal or Patreon. Umbra Space Industries, USI, CRP, and Community Resource Pack are (tm), and may not be used without permission. NOTICE: This mod includes version checking using MiniAVC. If you opt-in, it will use the internet to check whether there is a new version available. Data is only read from the internet and no personal information is sent. For a more comprehensive version checking experience, please download the KSP-AVC Plugin. No replies for this yet? This seems really cool! Nice work. It'll catch on, just take a while. Well, it's actually one of those mods (like KVC) that will only really ever be packaged with other mods. It's not really a standalone. It is awesome though, and RoverDude is one of the best cat herders I've ever witnessed. So the new KSPI-Exp release has Water/Water, but MKS uses Aquifer/Water. (No more LqdWater) Which means there are still two ORS maps and configs for a planetary resource called Water, if you are running both mods. Are those planned for merger at some near future point? I'm still unclear on exactly how those interoperate. ... one of the best cat herders I've ever witnessed. Somehow I read that as cat benders and got a serious LOL out of it. So does this mean that I won't have to use five different kinds of Argon anymore? If so, AWESOME. Large change was that now Water is Water Deprecated the MKS Aquifer maps and use of Aquifer as an ORS key in favor of Water. There will be an MKS update as a result of this. I think a lot of that stuff only exist to make kspi scanners give "realistic" readouts. I'll be reviewing the design for kspi lite a little more aggressively in the next major update, but it'll probably be a month or more before I make another big update that will address more mechanical issues with kspilite. Not that you guys should wait for me. I just wanted to put a tentative timetable out there for any collaboration efforts. Fine by me, we should coincide any updates until then since this isn't hurting anything. Gives everyone a chance to sort through these. I'll be doing a large planetary adjustment as well at the same time. What about adding some largish concentration of xenon and argon to eve's atmosphere, cause it's purple. It would be an interesting place to get fuel for NFP. I have noticed that for Karbonite's atmospheric resource definitions every key has the same name of "AtmosphericKarbonite". Is that for a particular reason, or is it a bug? Also, I am curious as you how you feel about RealFuels' 1L as opposed to 5L volumes, and how they affect unit densities. Basically anything using this pack that uses RealFuels would need to adjust all of their densities to keep everything to the same scale. Not a bug, as long as you don't have duplicate keys on the same body you're fine (You can see this on the planetary resources too). No debate that realfuels would adjust - CRP takes no opinion one way or the other RE densities (the counterpoint is that for folks not using realfuels, they would have to convert up to the 5L units stock uses). If over time if the curators of the mods of record start moving one way or the other, CRP will reflect. That being said, most of the mods that use CRP right now use mostly 5L units. Cool beans. I just wanted to make sure adjusting them was kosher. I like the cut of your jib man. 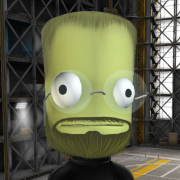 I myself have not written any mods for KSP and really don't plan to. etc.. etc.. etc.. This is a very good idea one hopes the EGOS don't get in the ways or something like this gets slid into KSP code as its a very good concept. Nobody wants to see children eaten... ITS FOR THE CHILDREN PEOPLE!!! If you're not on board then you must hate children or think they are tasty. Not a paid sponsor but I do use the Umbra stuffs. I've been re-considering adopting this RoverDude, especially now it looks like it can be as simple as using a 'shared agreed upon' config. Well done. What's involved in getting new resources added? I've got three I need at the moment that I didn't see in the doc. I like that idea - I noticed there was no Xenon gas anywhere and it's a resource we already have. Just PM me a list of what you have and the relevant mod (if it's in dev we just ask that you wait till release, because we get a lot of requests from mods that die out). At the very least I put it on the 'stuff people use' list. If someone else picks it up it goes on the big list, or if it's a no brainer like, say, Sodium or something. Good example is that Snacks will make the list if it's author wants, since it's getting some traction. Just a modulemanager config. I can put a :NEEDS[RealFuels] in there just to be safe if you like. Wait, why? I thought the point is to have those, regardless if anyone actually uses them.